With vital beauty oils and ten skin nutrients, this moisturising cream prevents dry skin by leaving it soft and supple. The glycerin works on giving you softness from inside and a glowing skin outside while you never have to worry about dry lines and patches again! 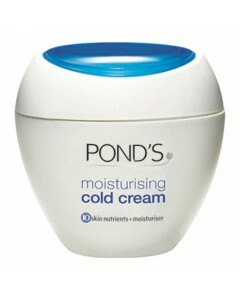 You will definitely love to touch your soft and smooth skin after the Pond's Moisturising Cold Cream has done it's magic!